It’s easy to understand why so many people plan romantic getaways on Long Island. There is something inherently romantic about the place, especially the North Fork. Stroll hand in hand along the shores of nearby Marion Lake. The water embraces us on three sides, filling the air with that distinctive, salty fragrance. The rhythmic sound of lapping waves is never far from the ears. There are few people here–enough to justify excellent restaurants and wineries, but not so many as to make it feel crowded. There are miles of sandy beaches to walk. You can see the stars at night. When was the last time you devoted a weekend to romance? When was the last time you went away with your one and only? Was it last fall? Last summer? Isn’t it time you had a romantic getaway at our Long Island NY Bed and Breakfast? Linger over a late dinner in nearby Greenport, and sleep in the following morning. When you awake, make your way downstairs to a romantic, candlelit, four-course breakfast. Pamper yourself with spa services. Hire a car to transport you to several of the award-winning wineries close to our inn. Walk hand in hand along the beach. Go for a nice, long bike ride. Valentine’s Day and the Presidents’ Day long weekend both fall in February, making it as good a month as any for a romantic getaway on Long Island. Take advantage of our Lovers’ Magic Romantic Getaway Special, and treat your sweetie right. The special includes fresh flowers, a bottle of North Fork Champagne, cheese, crackers, fruit, and rich chocolate truffles. You’ll be treated to a romantic Aromatherapy bath and individual or couples’ massages. We’ll also provide a coupon for dinner at either The Frisky Oyster or Noah’s, and a discount on a wine tasting tour. Bring your sweetie here to pop the question. Come here to celebrate an anniversary. Plan a few days at our Long Island Bed and Breakfast with the goal of visiting as many North Fork Wineries as you can. 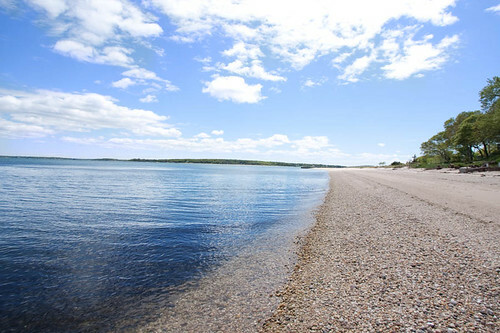 Or simply come to explore the North Fork of Long Island together, two people in love.